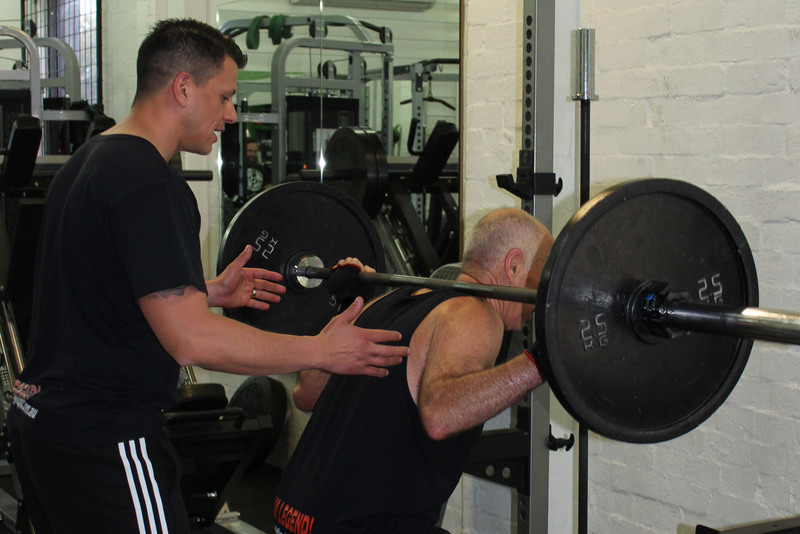 Personal training is the cornerstone of everything we do here at Fighting Fit PT. We provide a number of personal training opportunities, with programs available for people of all ages and fitness levels. Whether you’re looking for a personal gym trainer at our Preston facility or a general fitness trainer in the Melbourne area, our sessions are designed to meet your individual fitness needs and exceed your expectations. From boxing and weight training through to interval sessions and intense cardio, we can create a program designed especially for you. We provide a number of opportunities for our clients, including dedicated one-on-one training and efficient two-on-one sessions. Our specialised one-on-one programs are ideal if you want to address specific fitness or performance goals, with this type of intimate connection also useful if you have specific injuries or challenges that need to be overcome. Our two-on-one programs are very similar, and represent efficient and affordable sessions highly useful if you want to share training with a friend or teammate. Two-on-one training can be advantageous in some situations because it creates a sense of competition between two people, driving them to work that little bit harder. There are numerous advantages to personal training over group fitness sessions, including improved supervision, greater flexibility, enhanced feedback, and access to individual assessment based on your specific fitness goals. Generally speaking, personal training sessions allow for a greater level of feedback and communication between the client and the trainer. While our fitness sessions are always highly structured and based on evidence-based practices, personal training makes it much easier to remain flexible and to change activities based on your needs and goals. This has a number of benefits. Not only does this help you to reach your fitness and performance goals more quickly, but it also helps you to avoid injuries along the way. Small adjustments can make a big difference when it comes to fitness, and personal sessions are able to refine techniques quicker and with more accuracy. A personal fitness trainer is also beneficial when it comes to nutrition and lifestyle advice, with trainers able to focus on the needs of specific clients and ask direct questions. Whether you want to engage with a short intensive training regime or set up a long-term connection with a trainer, the personal approach should never be underestimated. Here at Fighting Fit PT, our personal fitness trainer programs are designed to meet the specific needs of our clients. While some people want to lose weight or improve muscle tone in certain parts of the body, others have distinct performance goals based on strength or specific sporting activities. Before developing a training program, we will talk with you and create an exercise plan that’s been designed to push your limits without breaking your spirit. Common exercises include strength training, boxing, weight training and hypertrophy, bodyweight routines, high intensity interval training (HIIT), intensive cardio, core training and much more. A personal trainer in Preston will create programs that meet your needs and adapt training sessions over time as your fitness levels improve. Get in touch today to begin your journey with us.